Nine Entertainment Co.’s proposed $2billion-plus takeover of Fairfax Media will change the face of Australia’s media forever. It will create a cross-platform media behemoth that reaches every corner of our nation, and which controls newspapers, television and radio stations in our two largest cities. The Federal Government’s changes to media ownership laws in 2017 mean that media companies now have few barriers to takeovers. The result imperils our what is left of media diversity, with fewer voices, especially in the area of Australian and local content. There is no question that the Nine takeover of Fairfax will reduce diversity in Australia’s media, which is already one of the most concentrated in the democratic world. There are also genuine concerns about what it will mean for independent journalism, for the future of 160 community, regional and rural publications and suburban Australia and New Zealand, and for the jobs and conditions of thousands of Fairfax employees. 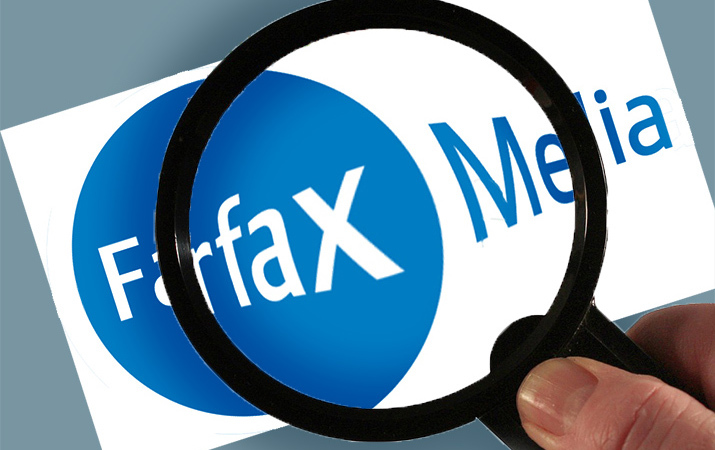 Under the takeover, it is not even clear what the future will be for the Fairfax metropolitan titles like the Sydney Morning Herald, The Age, or the Australian Financial Review. For these reasons, MEAA has been calling for a robust and transparent public inquiry into the takeover. The Australian Competition and Consumer Commission is conducting an “informal review” of the to determine whether it complies with section 50 of the Competition and Consumer Act 2010 (read more here). The ACCC is giving all Australians an opportunity to comment on the takeover. Submissions are due by September 7. Given the ramifications of this takeover, it is important that the ACCC hears from the audiences and consumers of Nine and Fairfax’s products. To help with your submission, MEAA has created this portal where you can record your comments. When you click submit, your comments will be forwarded to the ACCC as an email. • What is the media like where you live? How much diversity/concentration of media is there in your area? How important to you is media diversity and having a wide range of voices and opinions? Will the takeover reduce competition/diversity in the Australian media sector? • What Fairfax and Nine publications and programs do you consume? What attracted you to them in the first place, and what do they mean to you/your family/household? What will be the impact of the takeover on the choice and range of media you consume? • How distinct is Fairfax journalism – what makes it different? Describe a story or stories published by Fairfax over the years which have made a difference to you/had an impact on you/changed the way you think? What would your life/community be like without the journalism that Fairfax produces? • Who are the Fairfax journalists you always read/trust? • How important is fearless, independent journalism? What will be the impact of the takeover on investigative journalism and does it increase the risk of that independence being compromised by the commercial interests of the proprietor or its advertisers? • What else do you think the ACCC should consider when ruling on this takeover, and what would you like the ACCC to do?